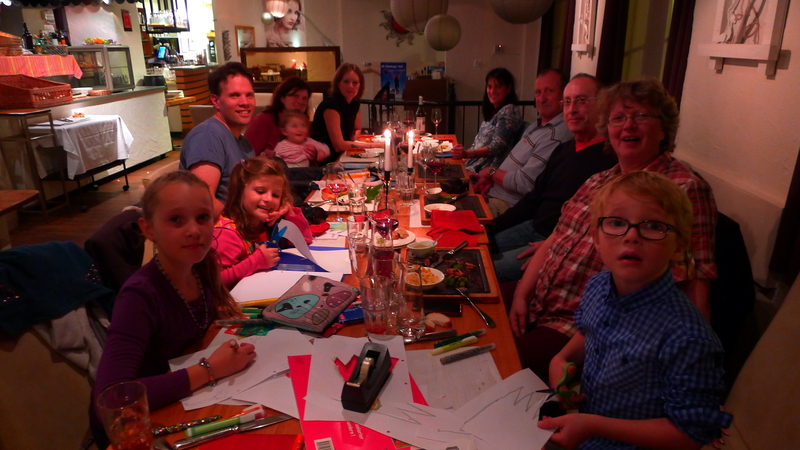 The second and final week of my tour lands me in Switzerland to sample some of its delicacies (food and drink), and more importantly, visit w/ my cousins, some of whom I haven’t seen since 2004. 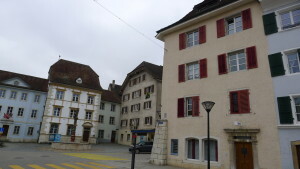 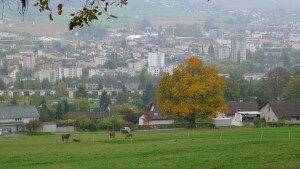 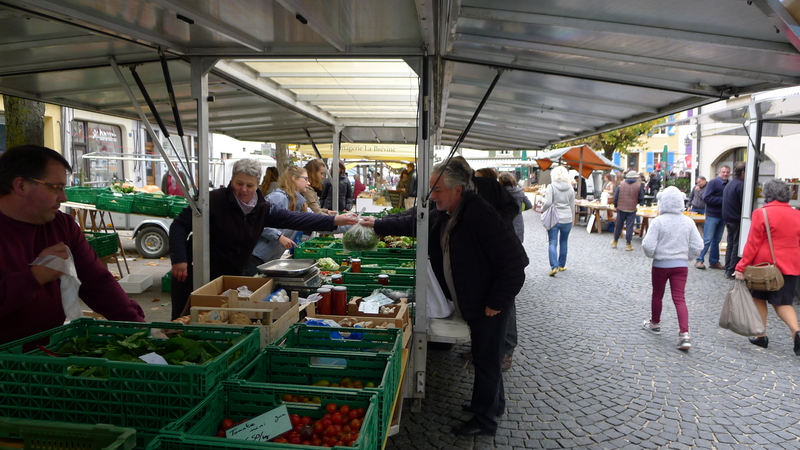 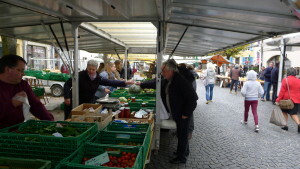 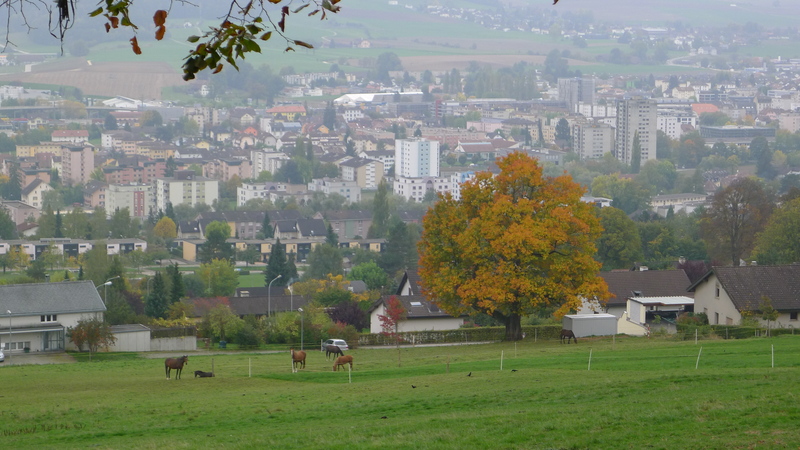 My home base was Delemont, the town where my mom grew up and where most of my cousins still live. 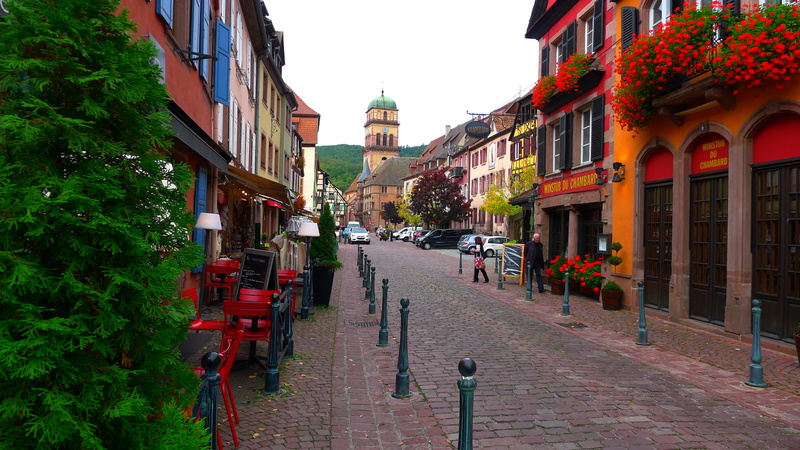 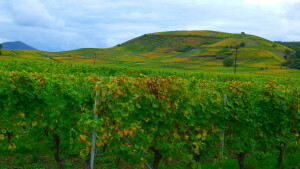 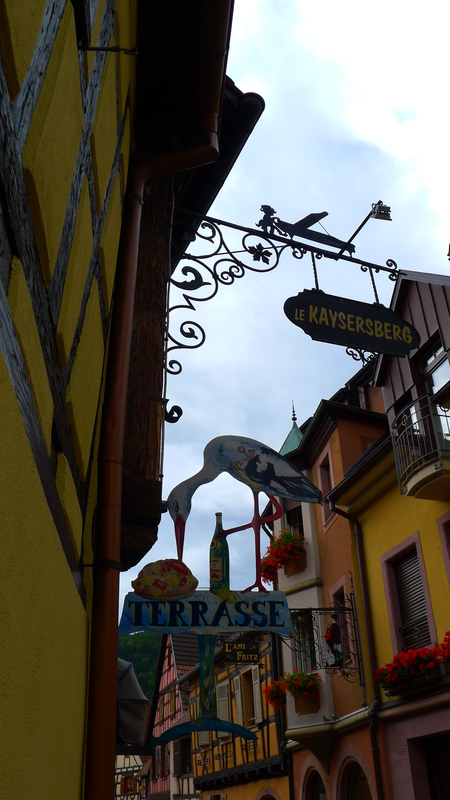 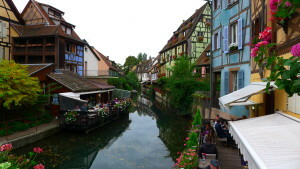 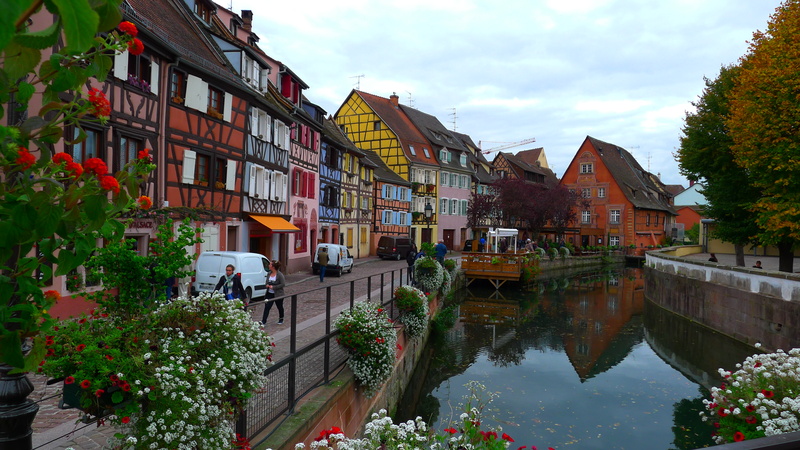 It’s close to the Alsace region of France so we visited a couple of beautiful towns just across the border – Kaysersberg and Colmar. 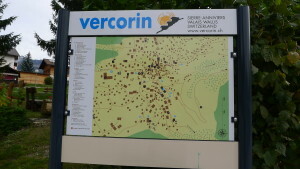 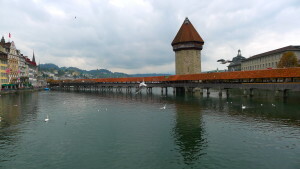 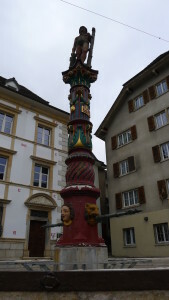 Other stops were Lucerne (famous for its covered bridge), Vercorin and Grimentz (two alpine villages in the Valais region). 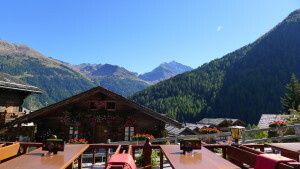 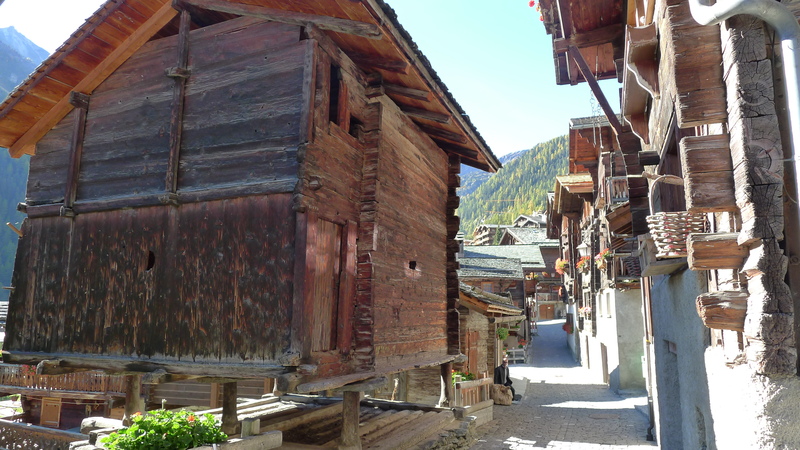 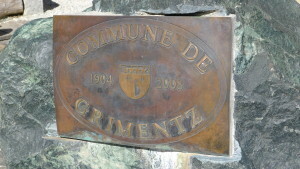 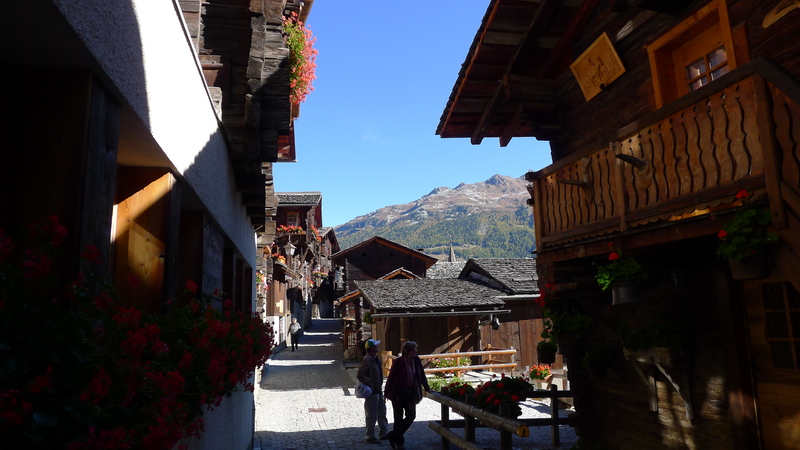 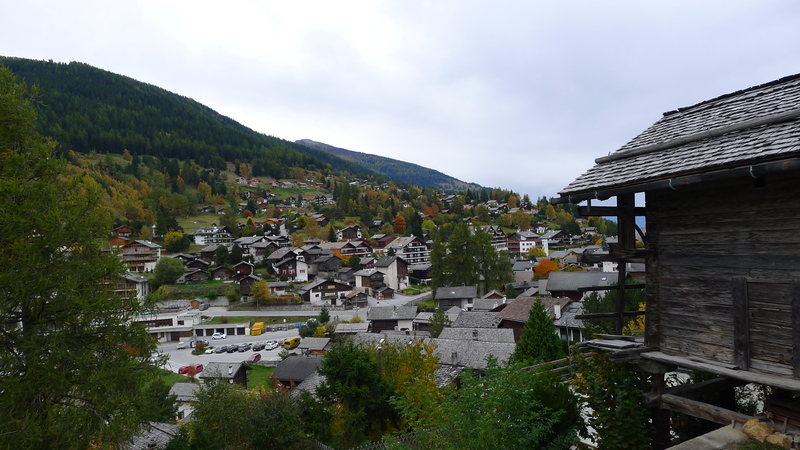 Grimentz is one of the best preserved Swiss alpine villages in that region. 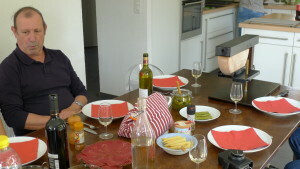 One of my cousins introduced me to Damassine, a delicious eau de vie made from damson plums. 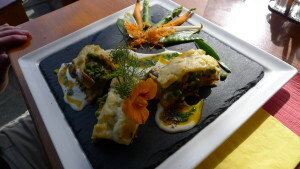 It quickly became one of my favorite after dinner drinks, having a great aroma and flavor in addition to aiding in the digestion of wonderful meals. 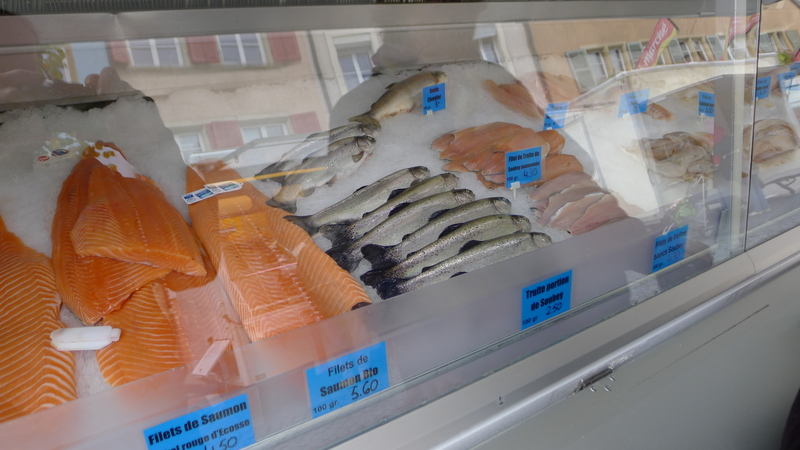 One evening we sautéed 2 types of local fresh trout purchased at the Delemont farmers market and of course we finished the meal w/ a bit of cheese and Damassine! 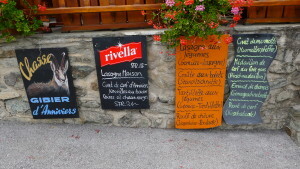 While in Vercorin, my cousin prepared a tradition meal called Assiette Valaisanne, which typically is a platter loaded w/ local cured meats, local cheeses, butter, thin slices of a dense rye bread called seigle, sliced fruit, nuts, cornichons and tomato wedges. This is served w/ wines produced regionally. It makes a delicious meal. Click here for an example. 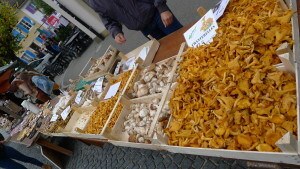 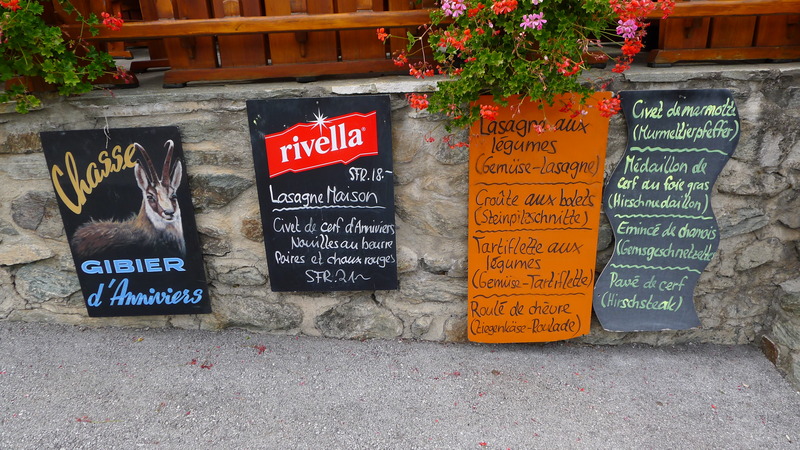 It was hunting season while I was in Switzerland, so most restaurants offered seasonal dishes made w/ fresh game meat. 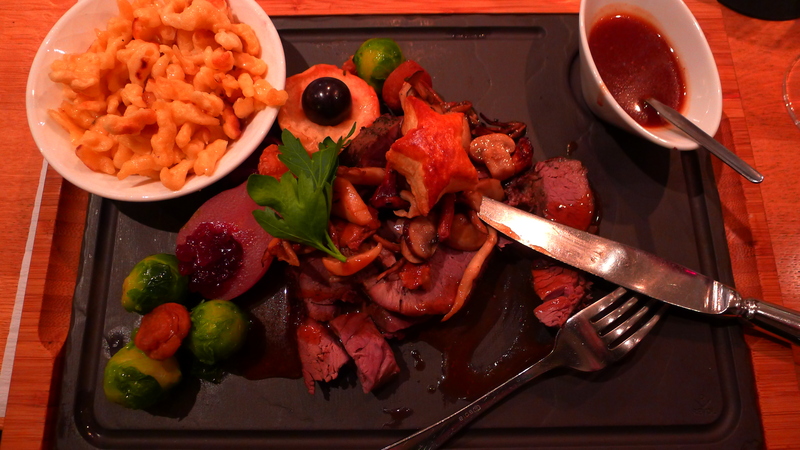 I was fortunate to sample some venison and chamois prepare a couple of different ways during some of our meals out. 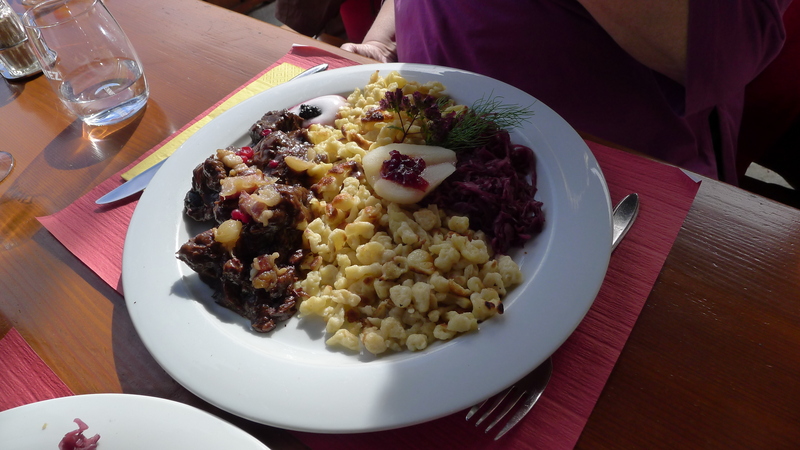 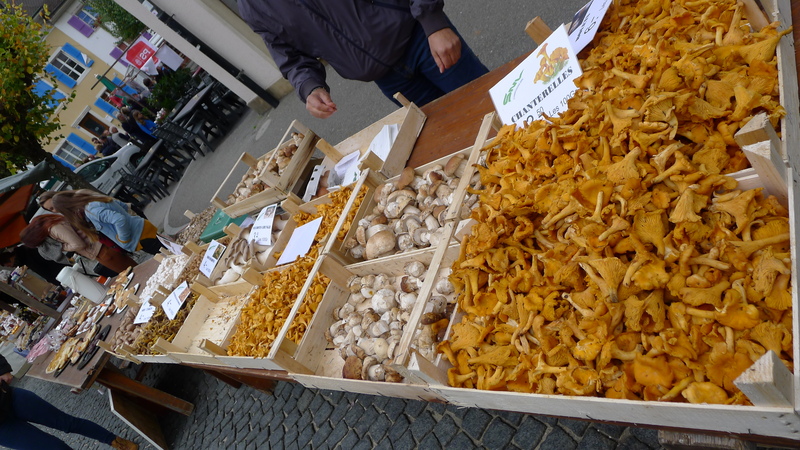 One chef slowly braised chamois for 18 hours and served it w/ local mushrooms, spaetzle, seasonal vegetables and fruit. 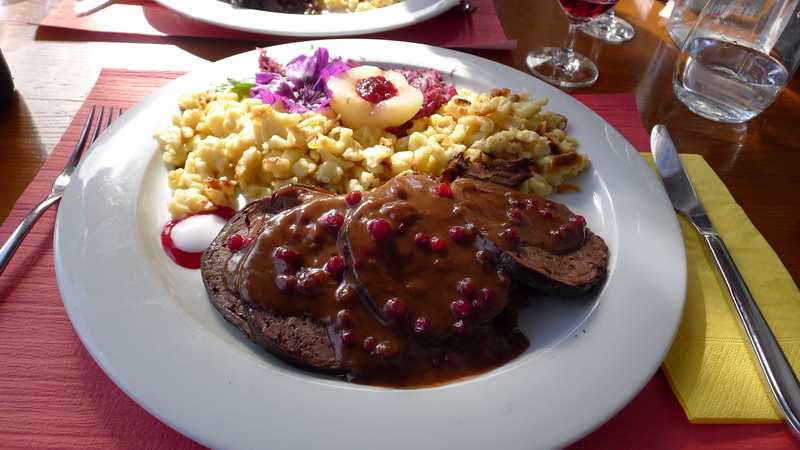 Another preparation was a roulade of venison breast stuffed w/ ground venison and served w/ red cabbage and spaetzle. Both were delicious! 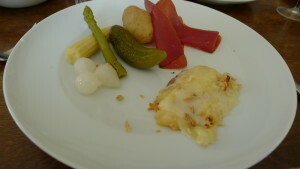 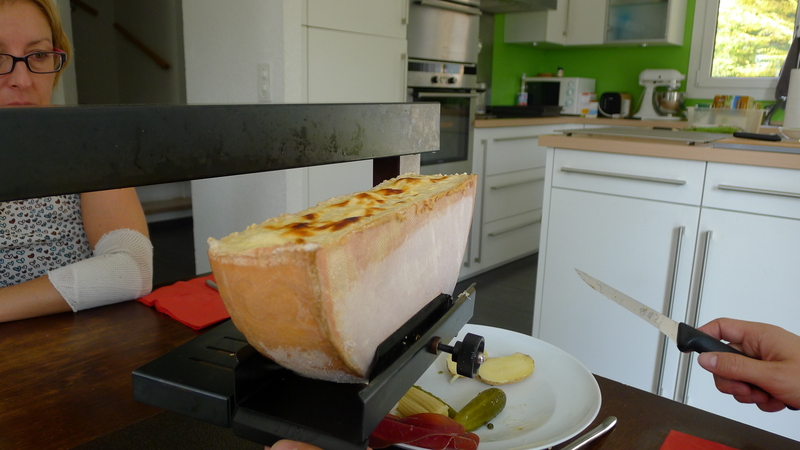 When in Switzerland, I always hope to eat Raclette (a Swiss specialty). It’s one of my favorite ways to eat cheese. A picture is worth a thousand words as you will see in the photos of the Raclette lunch we ate at a cousin’s home one day. 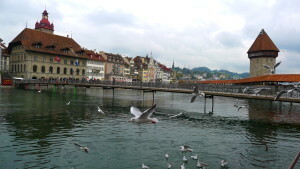 I hope you enjoy these choice photos as much as I enjoyed my short time in Switzerland! 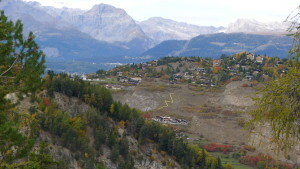 Au revior et a bientot j’espere!